(TibetanReview.net, Sep29, 2018) – In the hope of minimizing parochial frictions and turbulence rooted in provincial partisanship which marked the last election held in 2016, especially in the case of the Sikyong (President) polls, the Tibetan election rules have been amended to bar non-governmental organizations, including the regional associations and religious sects, from endorsing and campaigning for candidates for both the Sikyong and Parliament in Exile elections. This was a private member amendment bill introduced by Serta Tsultrim and it won support from more than two-thirds of the exile Tibetan MPs during the latest biannual session of the Tibetan Parliament in Exile which was held from Sep 18 to 28. 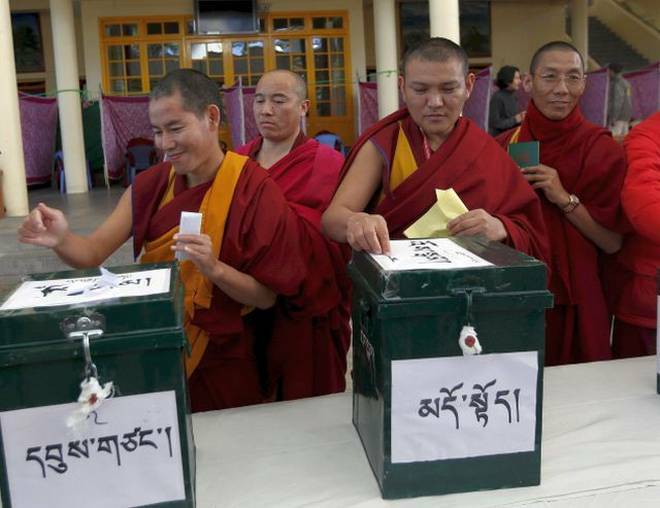 Besides, although held without an official list of candidates, any Tibetan getting more than 60 percent of the votes in the open preliminary poll, which is actually meant to facilitate the listing of official candidates for the election of the Sikyong of the Central Tibetan Administration, will be declared elected without having to face the otherwise requisite final round of election. And while the Tibetan election commission will be required to finalize at least two candidates for the final Sikyong election based on the preliminary poll outcome, in the eventuality of there being only one candidate – apparently due to withdrawal by other candidates or other possible reasons – he or she must get at least 51 percent of the votes in order to be declared elected. Otherwise, the entire Sikyong election will be held anew.